It’s Mental Health Awareness Week at the moment. 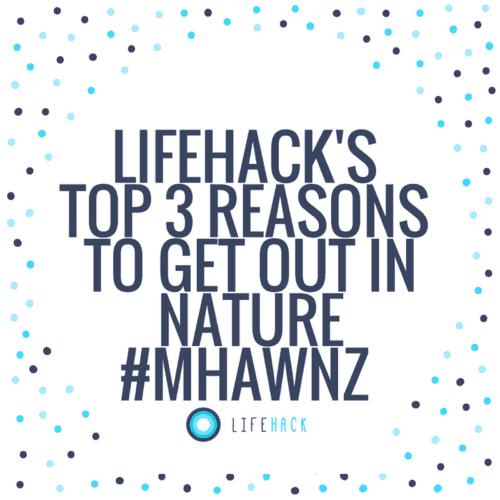 The focus this year is connecting with nature and in this post we’ll be telling you our top three reasons to get out in nature and the benefits to your wellbeing. 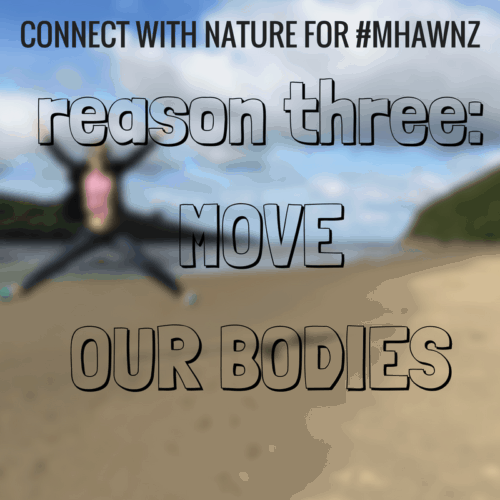 You might have noticed the #mhawnz across social media—and we’d love to hear from you about the benefits to your wellbeing when you get outside! Being in the sun’s rays helps our body restore vitamin D levels, which is said to help build strong bones, immunity, good skin and in some people, improve symptoms associated with depression. The Cancer Society of New Zealand recommends that a daily walk or other outdoor activity will usually be enough exposure to sunlight to increase your levels – don’t forget to slip, slop, slap and wrap! We use our senses to help understand the world around us. Our five senses (sight, hearing, smell, taste and touch) can all be activated in different ways. Getting outside in nature and hearing the sound of a kerurū soaring above us, or feeling the sand beneath our toes, can help some people feel grounded and more relaxed. 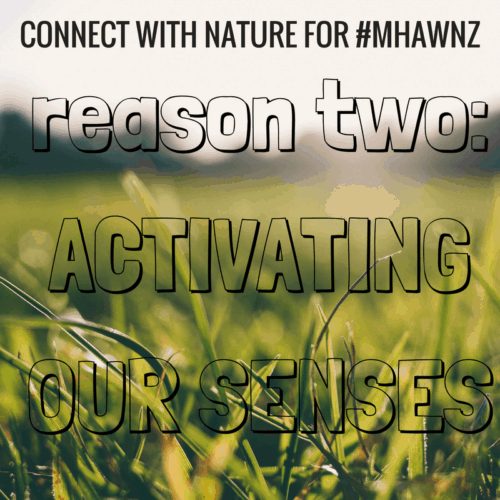 For other people, walking through native bush, and picking up the scent of the Manuka/Kahikatoa flower can bring a smile to your face and energise you to pick up the pace of your stroll. Having mastery in how our senses inform how we react to different stimuli can be a great way to improve self awareness, management of intense emotions and connection to others. You can explore how mindfulness can help activate our senses by heading to the Mental Health Foundation’s mindfulness page here. In this post, 2015 Fellow Nick talks about his journey with mindfulness and how he views it as not only a tool for wellbeing, but also a tool for social change. We know that one of the Five Ways to Wellbeing is being active. Now we’re not suggesting everyone go and join a competitive netball team, but engaging in physical activities can do a world of good for how we are feeling. Only ever do what is within your limits and be sure to get in touch with your local health team before you start something new. If you’re looking to explore in your own backyard, you can use this interactive map by Walking Access Ara Hīkoi Aotearoa to see where there are walking tracks and public recreation areas near you. You can also check out Lifehack Fellowship alum Fran, Katie and Chloe, who have got young women moving in Wellington. Stuck for ideas? This sweet video below might help! So what are you up to this weekend? 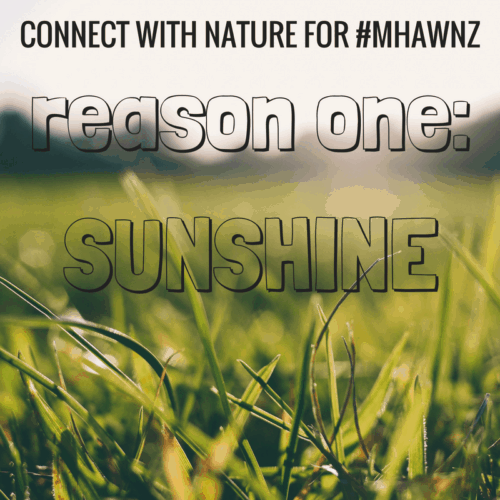 Tweet us your photos out there in nature @lifehackhq, don’t forget to tag #mhawnz too!